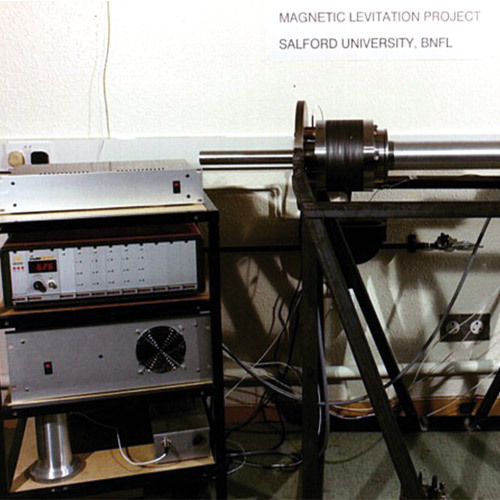 A shaft weighing about 40kg is supported in magnetic bearings. A ferromagnetic shaft journal is suspended in a magnetic field which is excited by surrounding excitation coils. To regulate the gap two sensors at each end measure in the radial direction, mutually offset by 90°, and one sensor measures axially against the shaft. Non-contacting and wear-free magnetic bearings are used in ultra-clean atmospheres and in extreme ambient conditions.